Verdi's heartbreaking classic gets a brand new staging for the Met's 2018/19 season courtesy of Michael Mayer. Back to the 18th Century after 2017's 1950's setting, the sweeping tale of love set against the backdrop of a decadent Paris will play out against a stunning set that changes with the season, illustrating the fleeting nature of Violetta and Alfredo's doomed, but exquisitely beautiful romance. Director Michael Mayer's hit production of Verdi's powerful tragedy sees 1500s Mantua replaced by a seedy and gaudy Las Vegas in 1960 - the ideal setting for this eternal conflict of depravity and innocence! As with many operas, the themes of revenge, mistaken identities and divine intervention feature heavily, something that was quite hidden in Victor Hugo's original novel until Verdi put it to music. 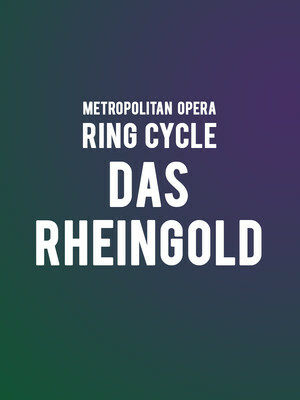 The introductory opera of the Ring Cycle, Das Rheingold explores the roots of the sacred treasure and the origins of the legendary battle to obtain it and gain its untold power and dominion. Michael Volle and Greer Grimsley will share the role of God King Wotan, alongside Jamie Barton as his wife Fricka, making her Wagner Met debut. 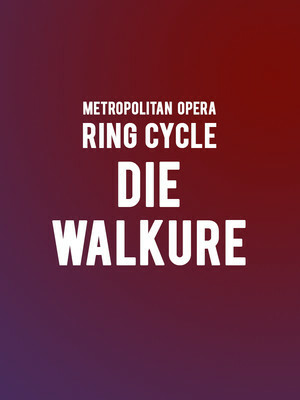 Extraordinary, bloody and dramatic, the Ring Cycle continues with Die Walkure, concerning the fortunes of those on earth as the Gods look on. Featuring the triumphant and instantly recognizable 'Ride of The Valkeries', this epic installment will leave you nothing short of breathless. With Christine Goerke at the reigns as Brunnhilde and Stuart Skelton and Eva - Maria Westbroek as Siegmund and Sieglinde. 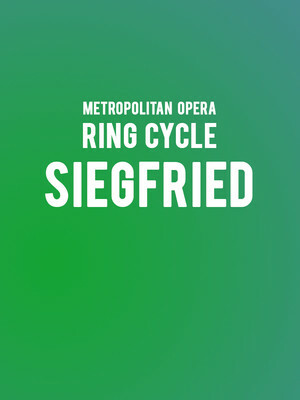 The third in the chronicle, Siegfried has it all - tempestuous gods, a fearsome dragon, a courageous hero and a passionate romance. Featuring the Ring Cycle's most light-hearted and joyful music, Christine Goerke reprises her role as Brunnhilde with Andreas Schager and Stefan Vinke sharing Siegfried. 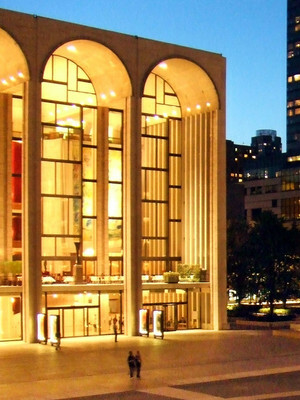 Metropolitan Opera House is part of the Lincoln Center for the Performing Arts complex. As part of the Lincoln Center for Performing Arts, this venue dedicated to ballet and opera first opened in 1966, replacing the original Metropolitan Opera House that opened in 1883 on Broadway, but was too small for advancing technology and stagecraft. It has a total of 4,000 seats, making it the largest purpose-built opera house in the world. 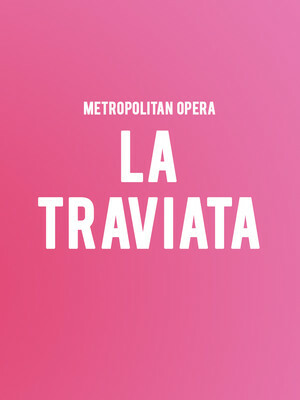 Please note: The term Metropolitan Opera House as well as all associated graphics, logos, and/or other trademarks, tradenames or copyrights are the property of the Metropolitan Opera House and are used herein for factual descriptive purposes only. 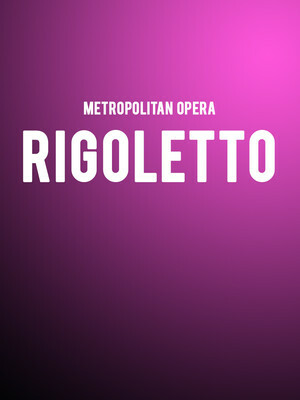 We are in no way associated with or authorized by the Metropolitan Opera House and neither that entity nor any of its affiliates have licensed or endorsed us to sell tickets, goods and or services in conjunction with their events.